or by phone on 01903 767800. Please click here to request a printed course directory in the post. Please follow the links below to see the courses we have available. If you can't find what you're looking for, then we will consider running courses for any airbrush application if there is sufficient demand. Please click here to make a suggestion. Situated on the South Coast of West Sussex, between the seaside towns of Worthing and Lancing. Click here for How to Find Us. Class capacity from 4 to 8 students. Extraction system for your comfort and safety. Fully equipped with Iwata airbrushes and compressors, the highest quality equipment on the market. Iwata are world-renowned in all markets as the top quality professional airbrushes. Part of the Iwata philosophy is to provide the best service for their products, including technical advice and support. The Airbrush Company aims to promote and encourage courses offered by our recommended resellers and independent training providers. If you buy an Iwata airbrush, you should consider taking expert tuition to achieve your potential - At least a beginner's course, where you will learn basic technique and how to clean and care for your airbrush to keep it working at its optimum performance. Also, our recommended courses are the best way to try before you buy. 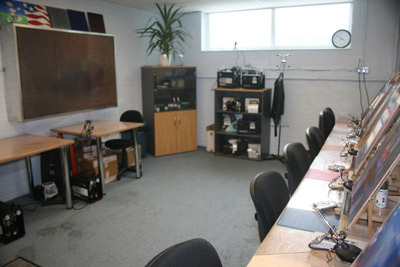 For normal classes, The Airbrush Company require payment in full to secure your place. For some special event "Masterclasses" you may pay in full or reserve your place with a non-refundable deposit, with a specified balance-due date set at a number of weeks before the event commences. If The Airbrush Company do not receive sufficient bookings, we may have to cancel or postpone the course. In these circumstances, The Airbrush Company will give at least 14 days notice of cancellation or postponement to allow students time to cancel accommodation and travel arrangements. In the case of one-off special event classes known as "Masterclasses", postponement to new dates will not be possible. In the event of a course postponement, The Airbrush Company will make every effort to arrange new a date that is convenient to the students. If the new date is not acceptable to the student, The Airbrush Company will make a full refund. If The Airbrush Company cancel a course, with or without notice, due to circumstances outside our control, The Airbrush Company will make a full refund of the course fees, but will not be liable for additional expenses, e.g. accommodation and travel, which will remain the responsibility of the student. 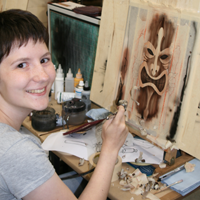 The Airbrush Company will make every effort to ensure that the course runs on time. The Airbrush Company cannot be held responsible for delays due to circumstances outside our control. For normal training classes - The Airbrush Company will give a full refund if the student gives 14 days notice of cancellation of their booking in writing. If the student cancels within less than 14 days of the start of the course, it will be at the sole discretion of The Airbrush Company whether or not to make a full or part refund or no refund. For hotel/venue-based conferences - The Airbrush Company will give a full refund if the student gives 21 days notice of cancellation of their booking in writing. If the delegate cancels within less than 21 days of the start of the event, no refund will be payable. For one-off special event "Masterclasses" - The Airbrush Company will refund the course fee less the non-refundable deposit amount.